Residents of the Okangala village and surrounding areas in the Okahao constituency of the Omusati Region are devastated by the untimely death of Annastasia Tilomalenga Kampulu, the seven-year-old girl who committed suicide at Walvis Bay. It is alleged that the Grade 2 learner at the Emmanuel Reuters Primary School in Kuisebmond, whose parents are originally from Omusati, committed suicide when she was left alone in a locked house while her mother, Annastasia Oscar, went to attend a night-time church service with a younger sister of the victim. An elder brother, who also lives in the same house, had not yet returned from work. When Oscar eventually came back home at around 00:00 on Friday night, she found her elder son waiting outside as he did not have a key to enter the house. According to police information which was corroborated by the family, the mother entered the house and noticed that Annastasia was not on her bed. She started searching and found her lifeless body hanging on a wardrobe with a piece of clothing around her neck. Deputy Commissioner Erastus Iikuyu, Erongo Regional C rime Investigations Coordinator said in his official report abut the tragic incident that no foul play is suspected at this stage. The body was taken to Walvis Bay Police Mortuary for post mortem examination to determine the actual cause of death. 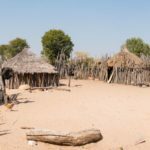 Informanté visited the traditional homestead of the deceased’s grandmother in the Okangala village on Friday evening, where a number of villagers gathered to offer condolences to the bereaved family. “We are deeply shocked and the question is why and how can that be? Why did this happen? Only God knows,” said one of the mourners. The deceased’s grandmother on mother’s side, Hilma Shiimi, said the parents of the deceased – Annastasia Oscar and Richard Kampulu – are expected to travel to the north from Walvis Bay as soon as the autopsy is done to join the rest of mourners who are now gathered at her homestead.